The GCC is now in charge for final maneuvers needed to bring the satellites into their correct orbital location. Switch-on of the payload is presently planned for December 10. The Oberpfaffenhofen facility, operated by the German Aerospace Center DLR, will be in charge of the satellites’ command and control for the whole of their expected 12-year lives. 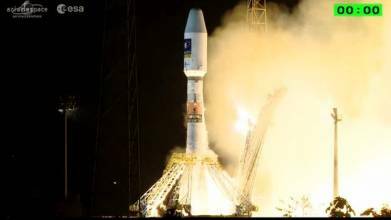 The two in-orbit validation (IOV) Galileo satellites were launched on board a modified Soyuz-ST-B rocket from Europe’s spaceport in Kourou, French Guiana on October 21. Three hours and 49 minutes later, their Fregat-MT upper stage carried them into their planned 23,222-kilometer orbit, where they were released simultaneously. At that point, a joint team from CNES and the European Space Agency’s (ESA’s) European Space Operations Center moved into action, beginning the crucial task of bringing the two satellites to life. The first signals were heard soon thereafter, according to ESA, confirming that the two spacecraft were in good health. When the navigation payload is switched on, it will mark the start of Galileo’s in-orbit test campaign. This rigorous check of the navigation signals is being conducted from ESA’s ground station in Redu, Belgium. In particular, a 20-meter–diameter antenna will measure the precise shape of the navigation signals to a very high degree of accuracy. 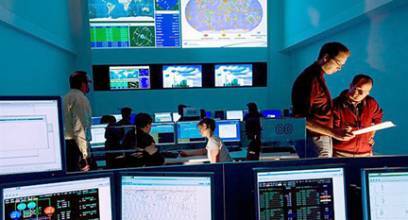 Once the navigation payload is fully checked-out and activated, a second Galileo Control Center in Fucino, Italy — operated by Telespazio — will oversee the system’s navigation services. All of the entities participating in these activities — ESOC, CNES, DLR and Telespazio — are doing so under contract to SpaceOpal, a joint subsidiary company of DLR and Telespazio. Once expected to reach full operational capability (FOC) in 2010, Galileo has endured a nearly two-decade gestation, encumbered along the way by technical, political and budgetary obstacles. The current schedule calls for launch of the remaining two IOV spacecraft in mid-2012 and the first two fully operational satellites by the end of next year. If all goes as planned, an initial operational capability (IOC) based on 4 IOV and 14 production spaces vehicles (SV) will be in place by 2014. They will provide three level of service: a free Open Service (OS) for civil users, a search and rescue service and an encrypted public regulated service (PRS). A high precision Commercial Service may also be tested during the IOV phase. The FOC constellation will have 27 operational satellites and three reserves, all stationed on three circular medium Earth orbits (MEO) at an altitude of 23,222 Kilometers (14,429 miles) with an inclination of 56 degrees to the equator. The IOV satellites were built by a consortium led by EADS Astrium. OHB-System AG of Bremen, Germany and the UK’s Surrey Satellite Technology Ltd (SSTL) will provide the FOC spacecraft. Despite the different terminology, the IOVs and operational satellites are very similar in design and capability. The primary difference is a high power capacity on the latter: peak power of 1600 watts versus 1420 watts on the IOVs. With OHB acting as general contractor and providing satellite platforms, and SSTL supplying the payloads, the satellites will be delivered at a rate of one every six weeks. 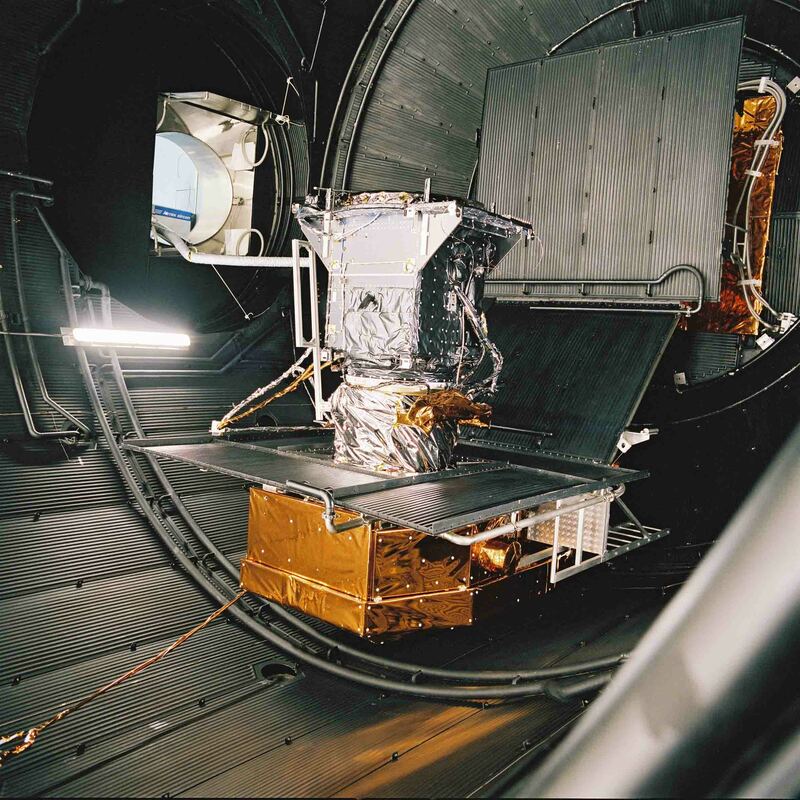 Having committed to a limit of €3.4 billion (US$4.72 billion) for the present seven-year budget cycle that ends in 2013, the Galileo program ran out of funds for completing the full 30-SV constellation. In January 2011, a midterm review projected the cost to complete an FOC Galileo system as €1.9 billion (US$2.64 billion) with operating and exploitation costs of €800 million a year. At a November 8-9 conference on space and its benefits for European citizens, José Manuel Barroso, president of the European Commission (EC), said that €7.9 billion is planned for Galileo in the EU Multi-Annual Financial Framework for 2014-20. Earlier this year, however, European officials aid that Galileo program savings had freed up funds that may be able to support acquisition of at least six additional spacecraft by 2014. The EC and European Parliament must still work out an agreement to allocate those funds so that FOC can be achieved by 2019-20. Recently, the presidents of the parliament and European Council and the EC president and vice-president have issued an urgent call to EU business and government leaders and citizens to complete Galileo and other space-based initiatives even in the face of the current economic crisis.